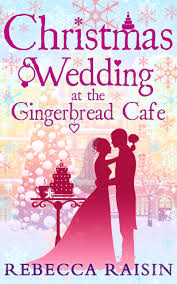 Christmas Wedding at the Gingerbread Cafe' by Rebecca Raisin is a 2014 Carina UK press publication. I was provided a copy of this book by the publisher and Netgalley in exchange for an honest review. I am so sad this is the last book in this deliciously sweet series. The author really knows how to write wonderful heartwarming and touching stories. Despite the fact I would love to see the series continue there couldn't have been a better ending. When Lily and Damon first met a year ago, things got off to a really rocky start. But, these two were meant for each other, so now one year later they have decided to exchange vows at the Gingerbread Cafe'. So romantic!! Until... the future mother-in-law arrives and Lily finds herself vying for Damon's loyalty. CeeCee once again is at her best although she is going through some problems of her own. Madcap last minute wedding preparations, Christmas Eve, snow, a wedding and few little unexpected surprises make this a wonderful holiday romance. I have really enjoyed getting to know these characters and they will stay in my heart for a long time to come. Whatever this author chooses to do next, I'm hoping for a front row seat. Very well done! 5 stars!! 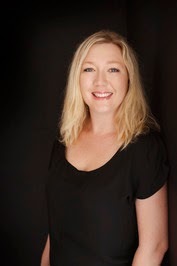 I AM SO THRILLED TO WELCOME REBECCA RAISIN TO THE BOOK REVIEW TODAY!! THANKS SO MUCH FOR VISITING US AND FOR SHARING THIS LIST OF WONDERFUL HOLIDAY RECIPES!! Thanks for inviting me here today! I’ve just finished the third and final book in the Gingerbread Café series, called Christmas Wedding at the Gingerbread Café. This, of course, means I’ve been researching Christmas recipes for my fictional café to bake over the last few months! To say I’m excited about making some of these would be an understatement! In my mind, it’s almost December because that’s where my book starts, so I am eager to decorate the house, and begin celebrating Christmas! I guess this is one of the draw backs writing a Christmas novel way before the season begins! If you’ve read the Gingerbread Café books you’ll know the girls sell all sorts of things in the café, but largely they’re gingerbread themed. The first idea I’d like to share is Gingerbread in a jar. I think this is the cutest idea for an inexpensive gift, and if you have children, it’s a sweet activity they can help with and maybe even gift to their teachers at the end of the year. The next recipe is gingerbread truffles! These are so easy to make, and I usually do a few different flavours every year. Again these can be made ahead of time for cute little home-made gifts. The best thing is, if they don’t look great, roll them in crushed gingerbread crumbs, or flaked chocolate and they look stunning! My kids love helping roll them into balls, and they taste great! So you might have guessed I am gingerbread crazy by now, but I just love how festive the flavours are, and it makes me think of Christmas instantly! When researching recipes, I’d heard of Gingerbread coffee, but not Gingerbread milkshakes! So this recipe is perfect for those times when you want something sweet that also looks every cool! Speaking of drinks, another recipe I mention in the Gingerbread Café series is Candy Cane coffee, but since then, I have also stumbled across Candy Cane hot chocolate! This decadent treat is a must-try! I love the idea of actually using a candy cane to stir it too! Another total favourite at Christmas is fudge! Perfect to go with your coffee or those times when you just need something sweet, but not a plateful. Fudge is another great gift idea you can make ahead of time. Cut out into star shapes, or just squares, and gift in little chiffon bags. I’ve found a gingerbread recipe today, but I love making orange and dark chocolate fudge too! You’ve probably all seen this recipe, but it’s too cute not to share! Especially if your kids have an end of term Christmas party. Little Santa strawberries are mostly healthy and easy enough to make. I absolutely love this idea! A Christmas tree platter, made from cheese and fruit, and whatever you can think of to add. Something fun, and festive that you can make beforehand and leave on the table for all those parties that seem to happen around Christmas! By now it’s probably pretty obvious I like making cute things for the kids! These cream cheese reindeers are SO simple, and adorable! Another good idea when it comes to their end of year parties, and a slightly healthier option! And lastly, another idea either for gifts or to use for Christmas dinner is making a chutney or savoury type jam with all the fruit that’s in season! Over here we make a cherry and star anise sauce to have with our turkey, so this is something along those lines. Thank you for having me here today and I hope you find a new recipe to try! THANKS AGAIN REBECCA!! THESE RECIPES HAVE MY MOUTH WATERING!! This series is just awesome- Christmas Wedding at the Gingerbread Café is on sale now!! Rebecca Raisin is a true bibliophile. This love of books morphed into the desire to write them. She's been published in various short story anthologies and in in fiction magazines, and is now focusing on writing romance.